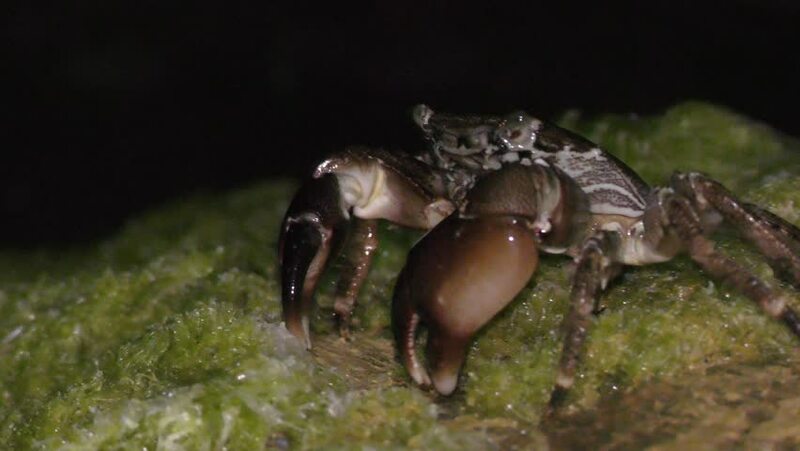 crab on a rock in the sea. The Black Sea crab. Life crabs at night. hd00:24Wood turtle eating some grass.